On days when Mother Nature keeps us from visiting the local playground, we’ve still got some great options for taking our little folks out to work off all that energy. No need to feel stuck in the house on rainy or really hot days. 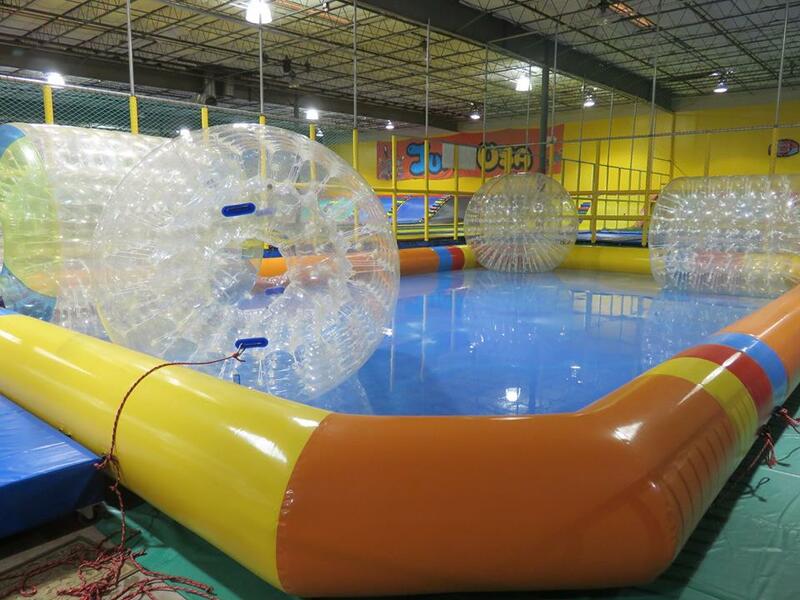 Go have a blast at one of these indoor spots in Austin. It’s like a bowling alley but instead of alleys it’s trampolines! At Jumpoline Park there’s jumpy basketball, jumpy dodgeball and just plain jumping. It’s an awesome way to get the kids moving. They have two area locations — Wells Branch and South Austin. For more info, visit the Jumpoline website. Kids love these indoor arenas, filled with gigantic inflatable slides, bounce houses, obstacle courses and more. 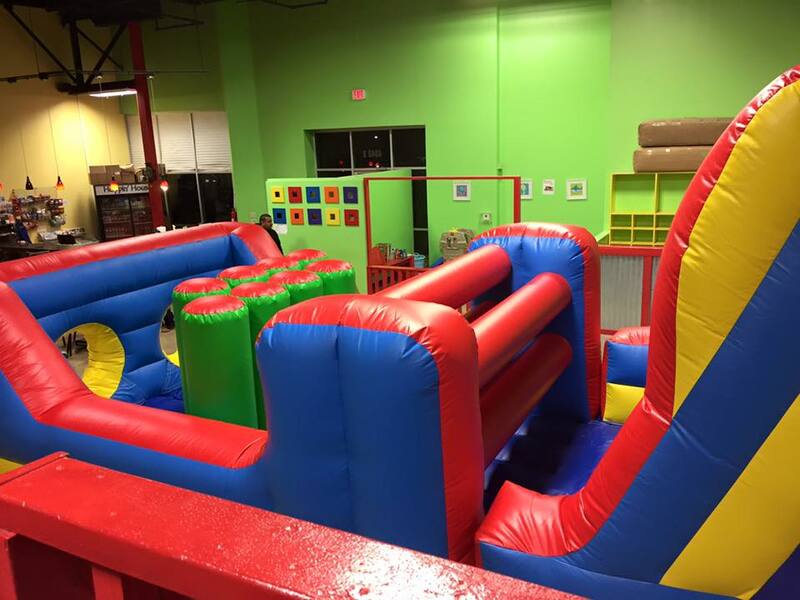 With locations in North Austin and Round Rock, Pump It Up is a popular weekend birthday weekend location but they also have open play hours for drop-ins during the week. Check the event schedule for info on their website. 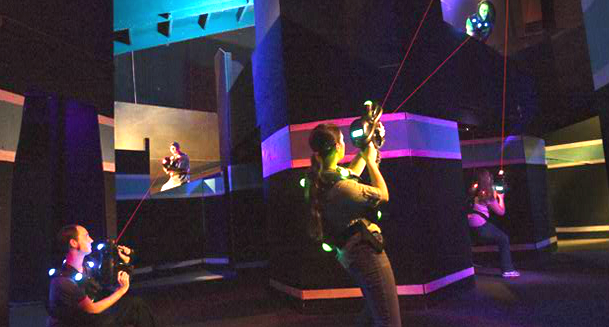 Blazer Tag boasts the largest laser tag arena in Texas. At 10,000 square feet and three levels of nooks and crannies, a laser tag game here is like no other. In addition to their super awesome arena, there’s an arcade with gems like Guitar Hero and classics like Skee-Ball. They’ve also just added a SkyTrail, a ropes course that hangs from the ceiling. You get harnessed in and run through the sky! We can tell you first hand that it’s pretty sweet. Visit their website for more info. iFLY is an indoor skydiving facility in North Austin. 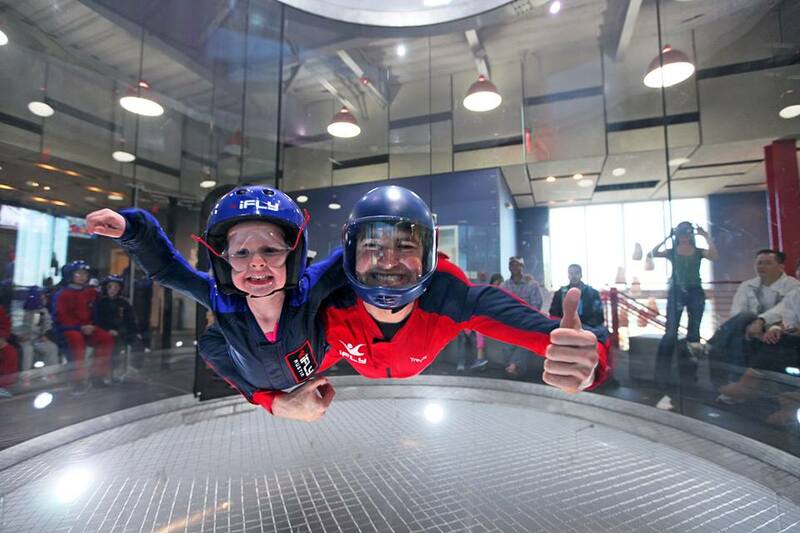 The iFLY experience creates true free-fall conditions with a vertical wind tunnel that feels just like skydiving, without having to jump out of an airplane. And there is no experience required. In fact, kids as young as age 3 can fly. Read all about it in our review. For more info, visit the iFLY website. 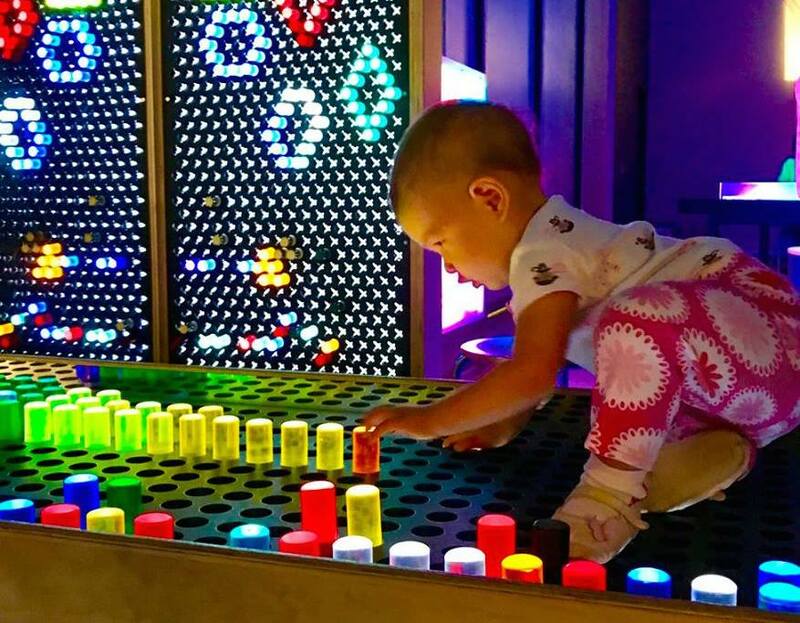 The Thinkery is Austin’s children’s museum, and it’s a really fun place to play and explore science themes. Launch rockets, go shopping in a pretend farmer’s market, enjoy water play, painting, crafts and much more. For more information and to check the calendar or events, visit their website. 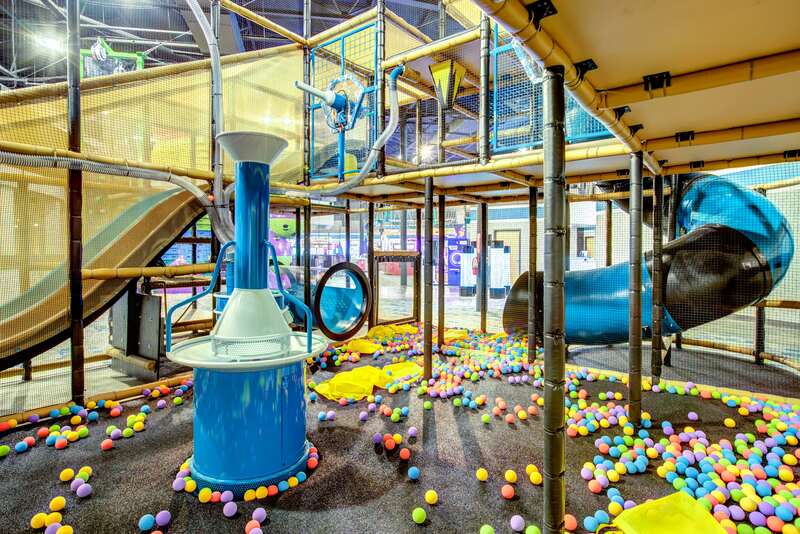 Catch Air offers a fun, interactive environment for children from toddlers to 12-year-olds. They have two locations — Round Rock and Anderson Mill. The indoor facility includes plenty of room to play, climb and slide. They also book parties and events. For more info, you can visit their website. 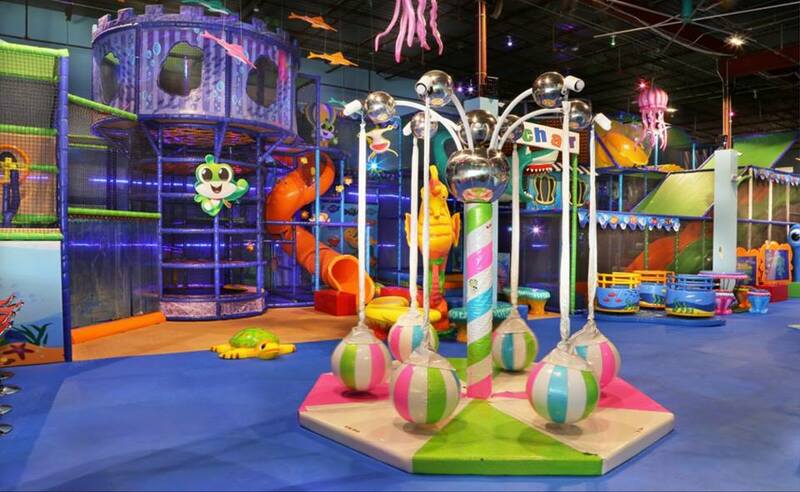 iPlay has the biggest room full of bouncy fun! 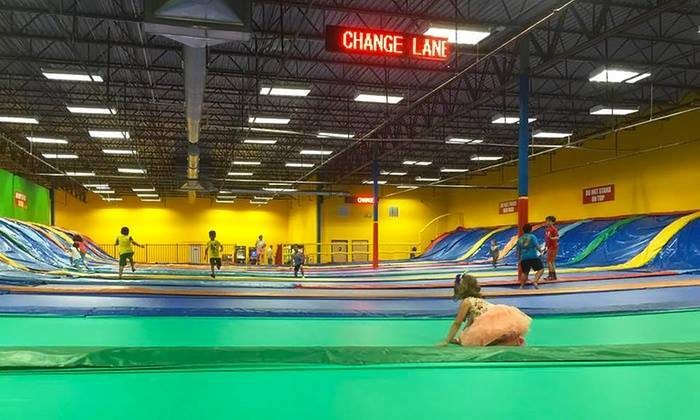 A 15,000 square foot facility completely stocked with inflatable greatness such as a 24-foot tall dual lane slide, an island obstacle course and even an option for piñatas at your next birthday party. Visit the iPlay website for more info. 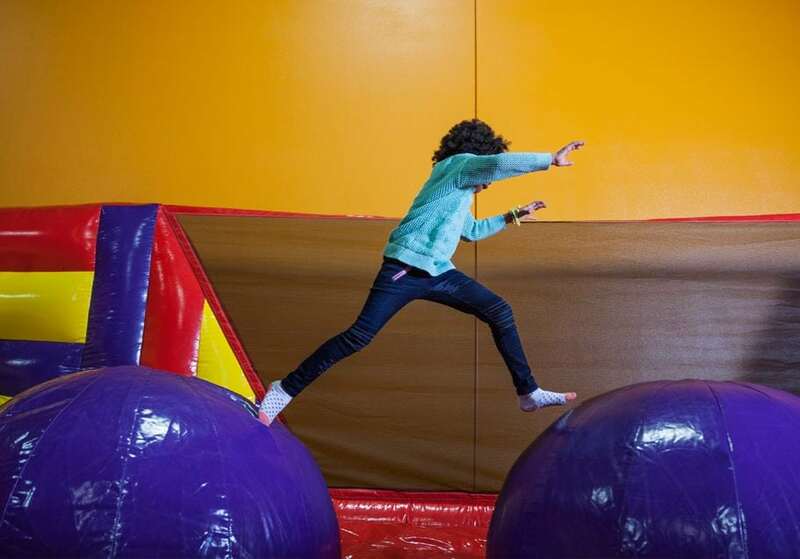 Urban Air Trampoline Park is over 25,000 square feet of indoor fun. 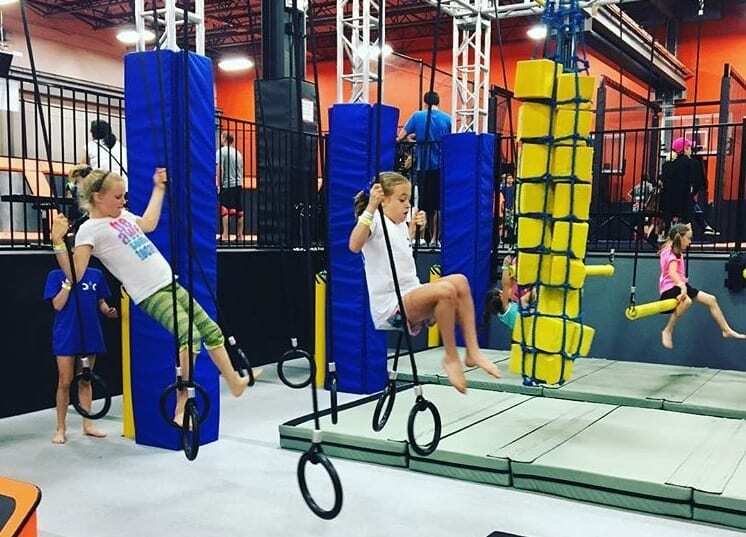 It’s suitable for all ages and fitness levels and offer a wide variety of indoor attractions including wall-to-wall trampoline arenas, runway, foam pit, slam dunk track, trampoline dodgeball arena and a big favorite — the Warrior Course. Visit the website for open jump hours and pricing. Hoppin’ House is another room full of jumpy fun. A huge inflatable playground awaits for your child. Throw ’em in the foam pit and laugh maniacally mwaaHAHAA! A fun way to wear the kiddos out! Hoppin’ House is only for ages 11 and under and socks are required. They have locations in Buda and in Austin. For more info, visit their website. 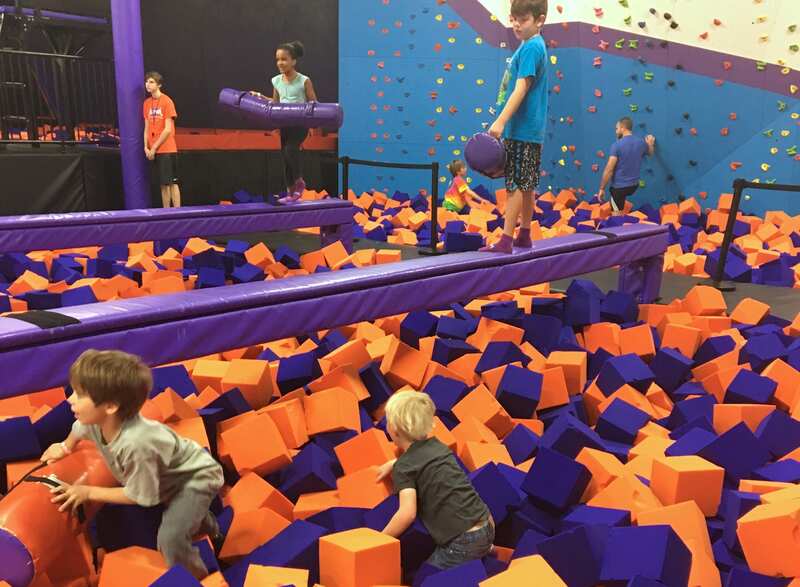 This South Austin indoor play area is for high-energy kids with activities such as a foam pit, rock climbing wall, gymnastics tumble tracks, a kid zone, basketball dunking lanes, dodge ball and group fitness. The park is approximately 23,000 square feet of interconnected wall-to-wall trampoline attractions! Click here for info about admission, hours, and FAQs. 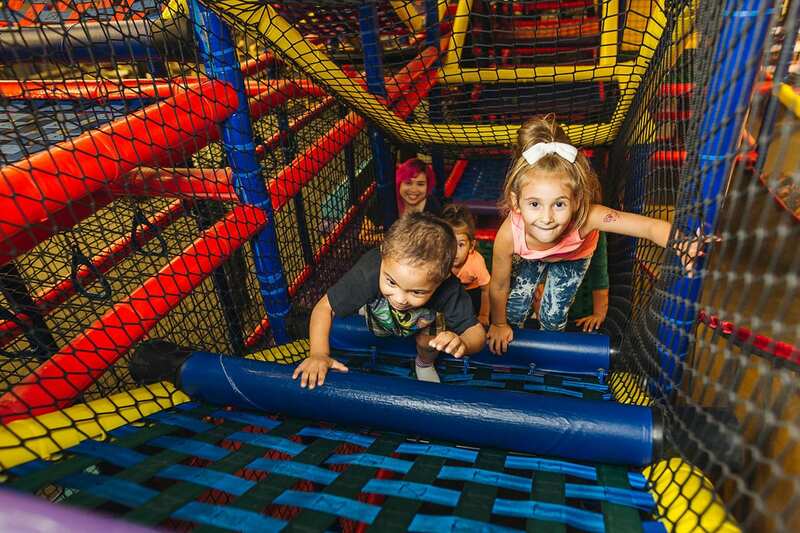 You’ll find bounce houses and obstacle courses to keep the bravest of 2-year-olds to the wildest of 10-year-olds busy for hours. And if bounce houses aren’t enough to wear out your little ones, they also have a large foam pit for your jumping and climbing extraordinaire. Hop N Happy offers a great space for indoor play, located on Anderson Mill Rd. 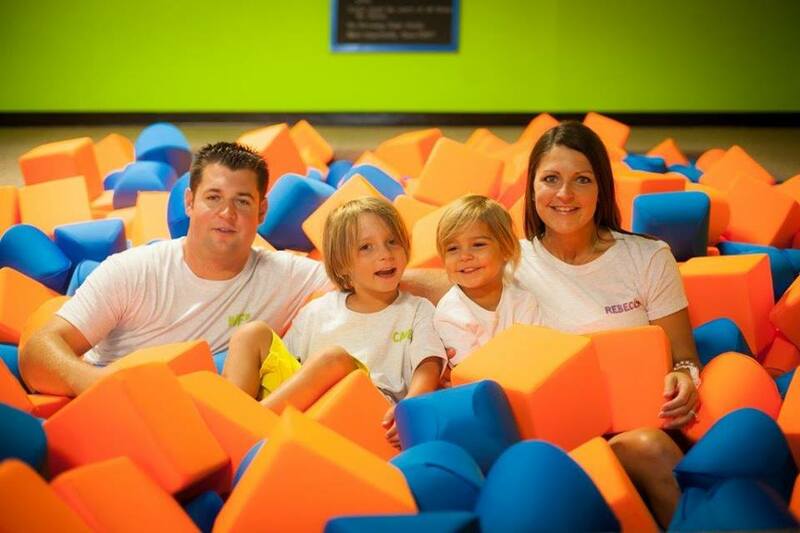 Click here to learn more about Open Bounce times and fees. Jump Party USA Trampoline Park is an indoor sports and recreation center for families, open to all ages. Everyone including small children can play, exercise, and enjoy being with family members and friends. The park has gigantic trampolines, private party-rooms, gaming areas, snacks for purchase, and inflatables for younger children. For more info, please click here. Epic Fun is a bright and spacious play center in Southwest Austin’s Oak Hill Plaza that offers a really long list of activities from unique climbing towers, mini bowling, a large arcade, sky trail and even indoor bumper cars. Visit their website about discounts, hours, and party packages. 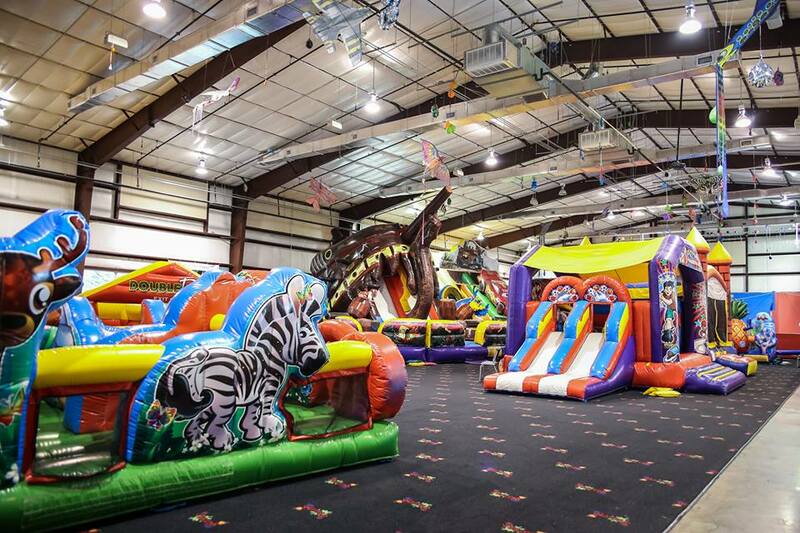 –> MORE: Check out this list of Indoor Places for Jumping Fun.